Be with your friend whatever happens. The strength of your friendship lies in his/her support during hard times. Anyone can advise you, but only your dear bestfriend can support you. 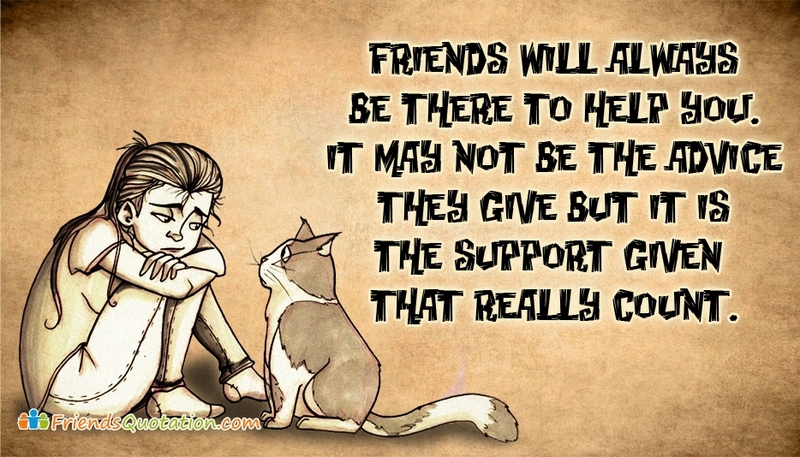 Share this friendship picture expressing this friendship message "Friends will always be there to help you. It may not be the advice they give but it is the support given that really count".